Purchase any Filler (Belotero, Juvederm, Perlane, Radiesse, Restylane, Sculptra, Volbella, Voluma) and recieve a $50 discount. Purchase a second Filler and receive a $75 discount. April 24th – 1:30 P.M., 3:00 P.M., 6:00 P.M.
May 1st – 6:30 P.M.
May 2nd – 10:30 A.M.
May 4th – 12:30 P.M., 2:00 P.M., 3:30 P.M.
*The above offer is available “ONLY” on the dates and times shown..
Purchase the first Gift Card in denominations of $50, $100, $250 or $500, and with the purchase of a second Gift Card, receive a 50% discount, which will be redeemable at the full retain cost. Gift Cards in denominations of $1,000 and $1,500 are available at full retail cost. please call (888) 668-4618 or (347) 493-1623. 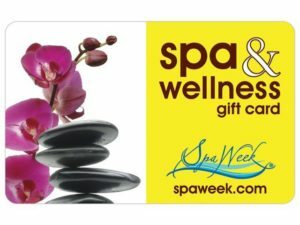 Beyond Beautiful Aesthetics honors the Spa & Wellness Gift Card by Spa Week.